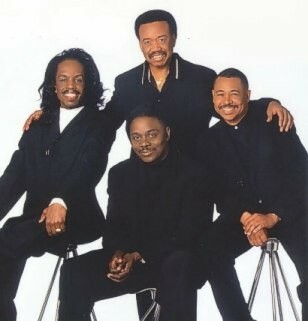 Earth Wind and Fire to perform at Tangelwood. 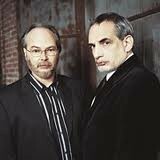 Steely Dan to rock Tanglewood. Rock and Roll Hall of Fame bands Earth, Wind, and Fire and Steely Dan are being added to the 2011 Tanglewood season line-up. Earth, Wind, and Fire will perform on Saturday, June 25, at 7 p.m. in the Koussevitzky Music Shed as part of the band’s 40th anniversary tour. Steely Dan will perform on Tuesday, July 26 at 7 p.m. in the Shed. Tickets for both events go on sale February 6, 2011. Tickets for Earth, Wind, and Fire range from $22-$75 and for Steely Dan from $25-$150. Tickets for both concerts go on sale Sunday, February 6, and may be purchased online through the Boston Symphony Orchestra’s website at www.tanglewood.org (beginning at 8 a.m.) or by calling SymphonyCharge at 617-266-1200 or 888-266-1200 (beginning at 10 a.m.) or visiting the Symphony Hall Box Office (beginning at 10 a.m.). There is a service charge for each ticket purchased on line or by phone. Formed in 1969 in Chicago, Illinois, Rock and Roll Hall of Fame inductees Earth, Wind, & Fire created a new brand of pop music—one steeped in African and African-American styles including jazz and R&B but appealing to a broader cross-section of the listening public. Earth, Wind, & Fire combined high-caliber musicianship, wide-ranging musical genre eclecticism, and ’70s multicultural spiritualism. Over its 40 year history, Earth, Wind, and Fire has released 23 albums, including eight double-platinum, Top-10 pop albums, selling over 90 million albums worldwide. The band has received 20 Grammy nominations and six wins, as well as 12 American Music Award nominations and four wins. They were inducted into the Rock and Roll Hall of Fame in 2000 and into the Vocal Group Hall of Fame in 2003. Earth, Wind, and Fire has influenced countless contemporary artists, including Usher, Beyoncé, Prince, Alicia Keys, and Mary J. Blige. The band performed with the Black Eyed Peas at Super Bowl XXIX and the 57th Annual Primetime Emmy Awards. Additionally, Earth, Wind, and Fire has performed for President Clinton and President Obama at the White House. Rock and Roll Hall of Fame's Steely Dan is known for its unique sound which blends elements of jazz, rock funk and R&B. Band members Donald Fagen and Walter Becker began collaborating while both were students at Bard College. They released their first album, "Can't Buy a Thrill," under the name Steely Dan in 1972. Throughout the ’70s they released the hit albums Countdown to Ecstasy, Pretzel Logic, Katy Lied, The Royal Scam, Aja, and Gaucho. They won 4 Grammy Awards including Album for 2001’s Two Against Nature, their first album in 20 years. That same year they were inducted into the Rock and Roll Hall of Fame. After time off to work on solo projects, they reunited for a tour of the US and Europe in 2009. The Bank of America Charitable Foundation is proud to support Tanglewood and its education initiatives for Massachusetts students. Commonwealth Worldwide Chauffeured Transportation enters its ninth year as the official chauffeured transportation of the BSO. Steinway & Sons Pianos selected exclusively at Tanglewood. This Week at Tanglewood is sponsored by Harvard University Extension School.